The Homeless Ministry of South OC- a clothing bank providing free gently-used clothing to families and individuals who are homeless or struggling. The Homeless Ministry of South OC, a partner with Second Impressions, also offers devotional time, a meal, free toiletries and blankets, and the opportunity for homeless individuals to work in order to earn store merchandise. 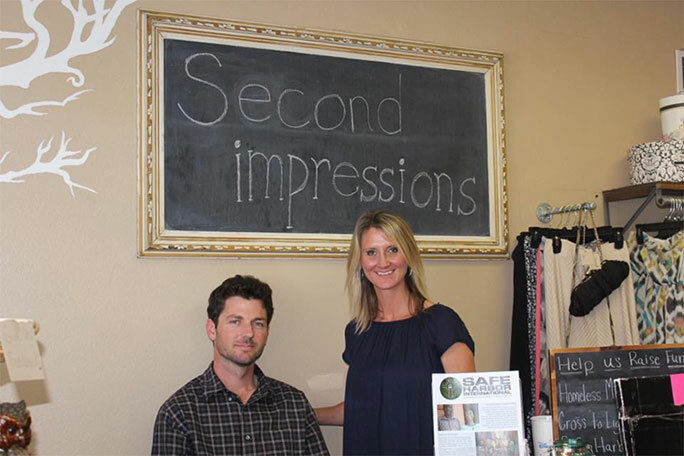 Owners Carrie and Brandon at their newly opened store front, located at 24412 Muirlands Blvd., Suite I, Lake Forest, CA 92630. Driving directions here. 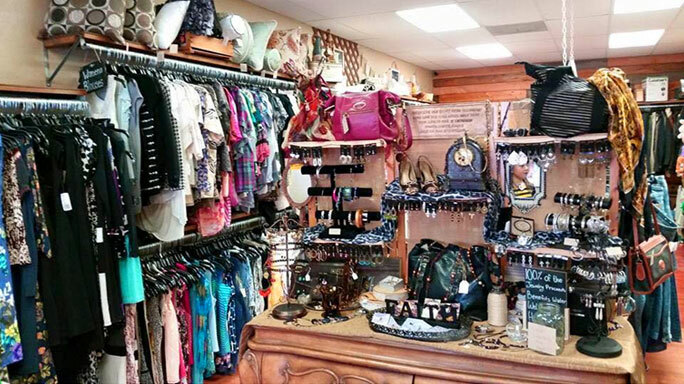 Merchandise includes gently-used household items; women's dresses and career clothing; baby and children's clothing; shoes, jewelry, purses; crafts, toys, and books, and men's clothing. Shopping hours and donation drop-off hours are Tuesday through Friday 9 a.m. to 6 p.m., and Saturday 10 a.m. to 4 p.m.
To donate items, request the clothing bank, or volunteer, visit www.secondimpressions.org.